4 The Love of Animals » Celebrating the bonds between people and animals! Based on the bestselling novel by W. Bruce Cameron, A DOG’S WAY HOME finds its way onto Digital March 26 and on Blu-ray™ Combo Pack and DVD on April 9 from Sony Pictures Home Entertainment. The film chronicles the heartwarming adventure of Bella, the brave and adventurous dog that embarks on an epic 400-mile journey home after she is separated from her beloved human, Lucas. A DOG’S WAY HOME highlights the power of unconditional love between man’s best friend and its human companion. We are excited to be able to give away a fun prize pack including the book the movie is based on, to one lucky reader! Dog Days: Shelby’s Production Diary Meet Shelby, the canine star of A Dog’s Way Home and track her journey from being adopted from a shelter to being cast as “Bella”. Follow Shelby and her trainers as she prepares for the film and join her on set as she makes her big screen debut. We are so excited about the upcoming IMAX movie, Superpower Dogs! The World Premiere of Superpower Dogs, an inspiring true story of extraordinary dogs and their life-saving superpowers, opens on March 9th at the California Science Center. The following week on March 15th, the film opens worldwide at IMAX, giant screen and digital cinemas in museums, science centers and other cultural institutions worldwide. Theater listings can be found on the Superpower Dogs website. Our friend Surf Dog Ricochet, a registered and certified goal-directed therapy dog is one of five dogs in the film. The other four include Henry, an avalanche rescue dog, Reef, a water rescue dog, Halo, a search and rescue dog and Tipper/Tony who sniff out poachers in South Africa. All these dogs rescue individuals in physical trauma. Ricochet, on the other paw, rescues people from emotional trauma, such as PTSD. The film takes you on a journey around the globe with narrator, Chris Evans (Captain America) as he introduces you to these remarkable dogs. 3D cameras and computer graphics were utilized so audiences can experience the world through the eyes, ears, and nose of a dog. 10 years ago, Ricochet became the first-ever canine assisted surf therapy dog because she made an independent decision to jump on the surfboard of Patrick Ivison, a 14 year old boy who is quadriplegic (he makes a cameo in the film). Since then, she has surfed with hundreds and hundreds of kids with special needs, people with disabilities, wounded warriors & veterans with PTSD. We received this product free of charge in exchange for our honest review. We recently got to try out this product thanks to Chewy. As we are always on the look out for ways to make our little hedgehog happy, we were excited to put this bedding to the “Yuki test”! The bedding, comes pretty compacted expands a lot once you open the package. We tried the smaller size package and found that we could get at least two full cage changes out of it (hedgehog cages are quiet large, much bigger than what you would have for other small pets). The bedding does come in two sizes, so I would recommend getting the larger size so you don’t have to purchase as often. Made with 100% pure, never printed paper. Very absorbent, in fact the description says it can absorb up to 800% of its weight in moisture! We found it to be very good at soaking up water, which Yuki likes to spill out of her bowl from time to time. Specially formulated to be 99.9% dust free, with minimal small particles. This was very appealing for us, as hedgehogs have sensitive respiratory systems. It’s important to keep her home as dust free as possible. Yuki was a bit confused at first by the new litter, as it was a different feeling and smell than what she was used to. If you decide to make a switch it might be smart to mix some of the old in with the new until you get them transitioned all the way over to the new brand. Of course if you have a pet that doesn’t burrow in their litter you should have no issue making a switch. 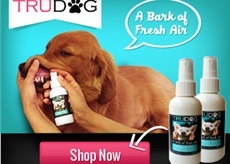 To learn more about it, or to order, please visit Chewy.com here.